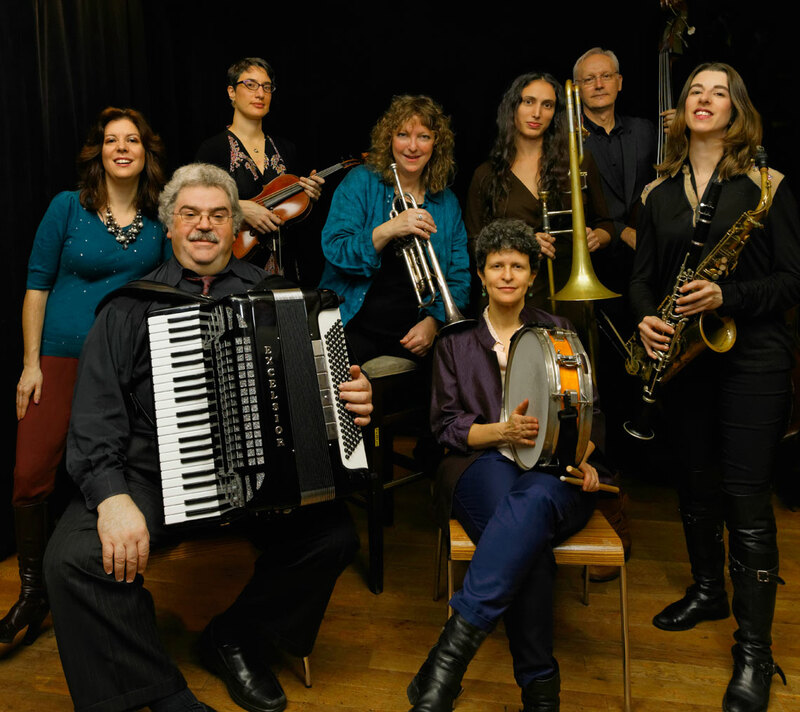 METROPOLITAN KLEZMER, established in 1994, brings eclectic exuberance to Yiddish musical genres from all over the map. Performing vibrant versions of lesser-known gems from wedding dance, trance, folk, swing and tango styles, as well as soundtrack material from vintage Yiddish films, they re-invent tradition with both irreverence and respect. Our special projects include: Music From Yiddish Cinema and Di Fire Korbunes — Yiddish ballads of the Triangle Fire. Check out our sister sextet Isle of Klezbos, and ongoing projects Yiddish Celluloid Closet and J.EdgarKlezmer: Songs from my Grandmother's FBI Files. METROPOLITAN KLEZMER's Jubilation! 25th Anniversary Octet Concerts Series is made possible in part with public funds from Creative Engagement.